The best vegetables for a fall garden may include a larger variety than what many believe. In most areas, planting lettuce, spinach and even Brussels sprouts is possible during the fall months. Also, note that greens in general do well in the fall months. Plant these in July for continuous growth through the fall months. Some of the best options include arugula, endive, kale, mustard greens, collards and lettuces. When selecting any vegetables for your fall garden, consider how tolerant the plants are to frost. Some are able to withstand a soft frost better than others will. Most types of greens and cauliflower, peas, broccoli and Brussels sprouts will withstand a frost. Most varieties will also be okay with a light snow on the ground, especially if the plants are well established and protected up until this point. With lettuces and salad greens, harvest prior to the frost and protect plants during the coldest spells for the best results. To protect these plants, mulch them well and place burlap or other materials over the top of them overnight as needed. To get the most production from the vegetables you plant in the fall, plant early. Plant early varieties in the late July or early August time-frame so the first harvest occurs prior to the first frost. A good example of this is bush beans. This popular vegetable garden plant will do well with an early planting in late July. They take about 50 days to mature, which means the first harvest will occur prior to the first frost. Check the maturity date of any of these vegetables to ensure there is enough time for the plant to get to maturity before the most likely frost occurs. In the south, there are plenty of vegetables to select for fall planting. However, some plants will do best with some preplanning. Peppers are a popular choice for fall planting in the south because they will ripen quickly. This is especially true in the drier areas of the south where August brings hot temperatures and low rain. To plant peppers in the south for long term growth, plant them in August or September. Leave the pepper plants in the ground after their initial harvest. Keep them well watered throughout the coming months. Most will continue to produce peppers throughout this time, but will not last after the first hard frost occurs. Some vegetables are important to plant in the fall months because they will overwinter. Garlic and shallots are good options here. Plant these in September or October and leave them in place throughout the winter. You will have large bulbs in the late spring to harvest. Do the same for onions, which can be planted as late as November for a spring harvest. Some of the best vegetables for a fall garden are root vegetables. You can plant carrots and radishes in late July and early August for growth in the coming months. 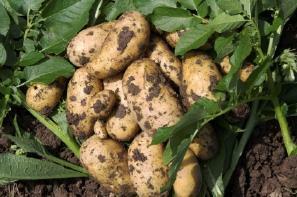 You will also find some types of potatoes do well over the cooler months. Check with your local garden center or nursery to learn about other vegetables that will do well during the fall months. In particular, ask about vegetables able to mature in your area within the given time period and look for those plants that can handle the first frost as well.